HMS utilizes healthcare data to ensure healthcare payers make the correct payment at the right time, for the right member, at the right provider through offerings in the Coordination of Benefits (COB), Payment Integrity (PI), and Total Population Management (TPM) spaces. The breadth of data HMS routinely processes spans over 7 Petabytes, transacts with over 1250 trading partners all of which utilize files and data in different formats and content, with differing frequencies of transmission and receipt. 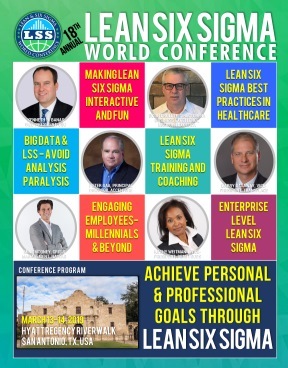 To provide the highest levels of service to its clients, HMS utilizes Lean Six Sigma principles combined with an enterprise Big Data implementation to manage the immense volume and complexity to connect and add value to payers and providers while fostering healthy members within their programs. Through Lean Six Sigma and ISO 9001:2015 certification, HMS has successfully driven standardization and repeatability to consistently turn its client’s healthcare data into valuable insights despite the complexity inherent in servicing its clients. HMS’s focus on quality measurement of operational processes allows it to detect gaps and inconsistencies in the data upon receipt and allows data to correctly flow through a myriad of match rules, claims rules engines, billing platforms and file transmission schemes while satisfying the labyrinth of state and federal laws and guidelines. Their emphasis on inbound data quality enabled the development of automated inspection of data transmitted back to its clients ensuring accuracy and quality of client deliverables. With a focus and mindset around quality, measurement, and adherence to process, HMS enterprise engineers are able to prepare the data and the operational landscape of legacy and future systems for continued success. This allows HMS to leverage Machine Learning and Artificial Intelligence methods to enhance its portfolio of offerings through COB, PI, and TPM products that will continue to satisfy clients at the highest level and add value back into the healthcare system.